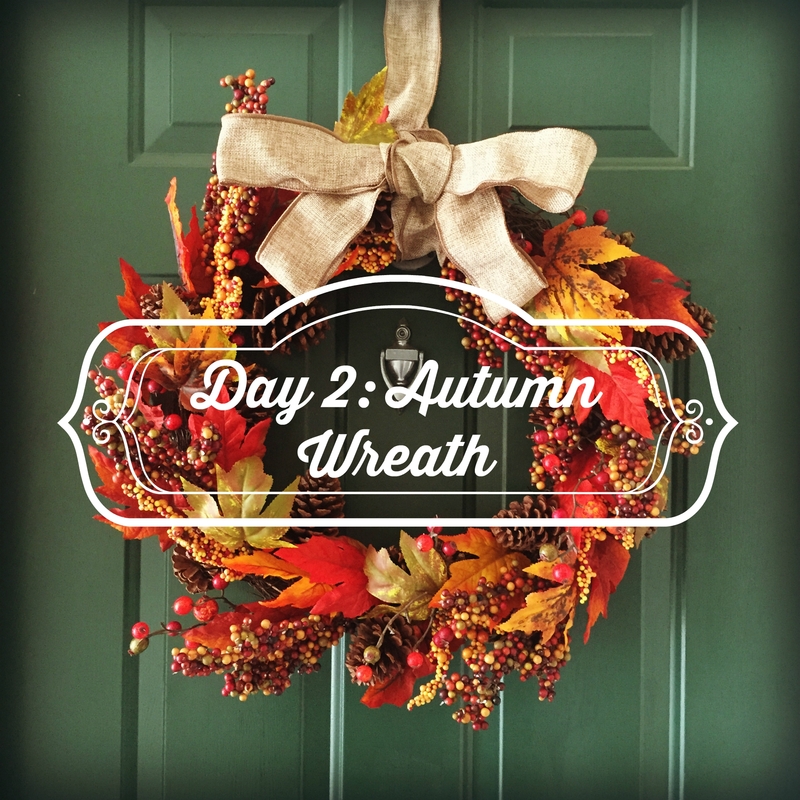 Day 2: That Epic Autumn Wreath! 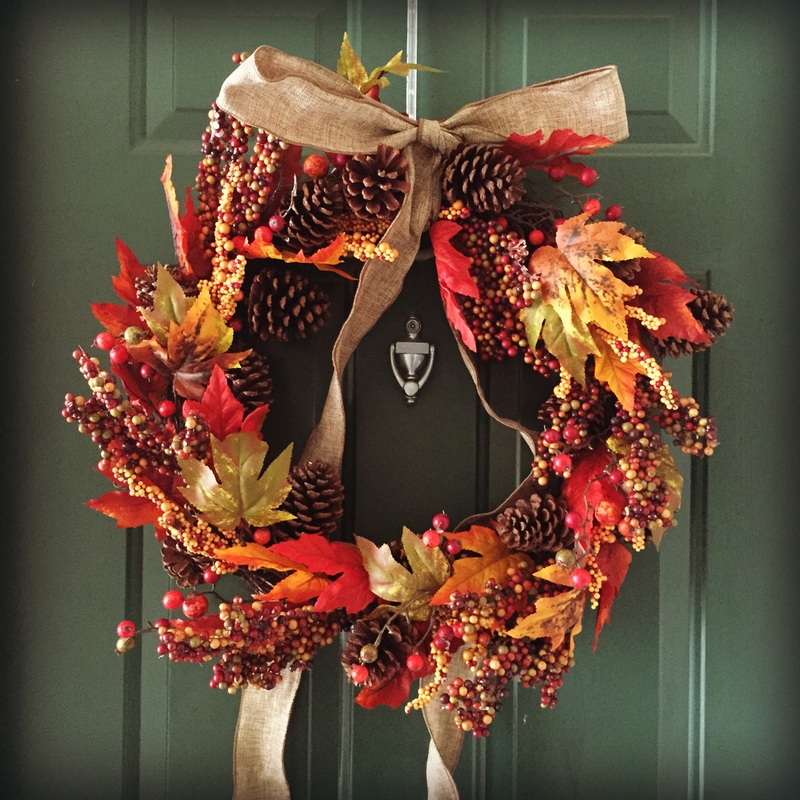 As many of you know, I SUPER LOVE fall wreaths. And I decided that this was the year- the year to finally purchase my very first, very own, autumnalicious display of wreathery. I could’ve gone so many directions with buying a wreath! Some are rustic and neutral, some involve a lot of sunflowers (which for some reason were not my fav), some look homemade but aren’t, some were plum-y in their color scheme, others glitterfied like a fall wreath that fell into a craft store… or Vegas, and some in the traditional colors of fall. Which I decided looked like I’d given up on bow-tying. But also I remembered that my point in purchasing the ribbon was to cover the plastic hanger-thing. So, I tried again, with what I think is a far more pleasing result! 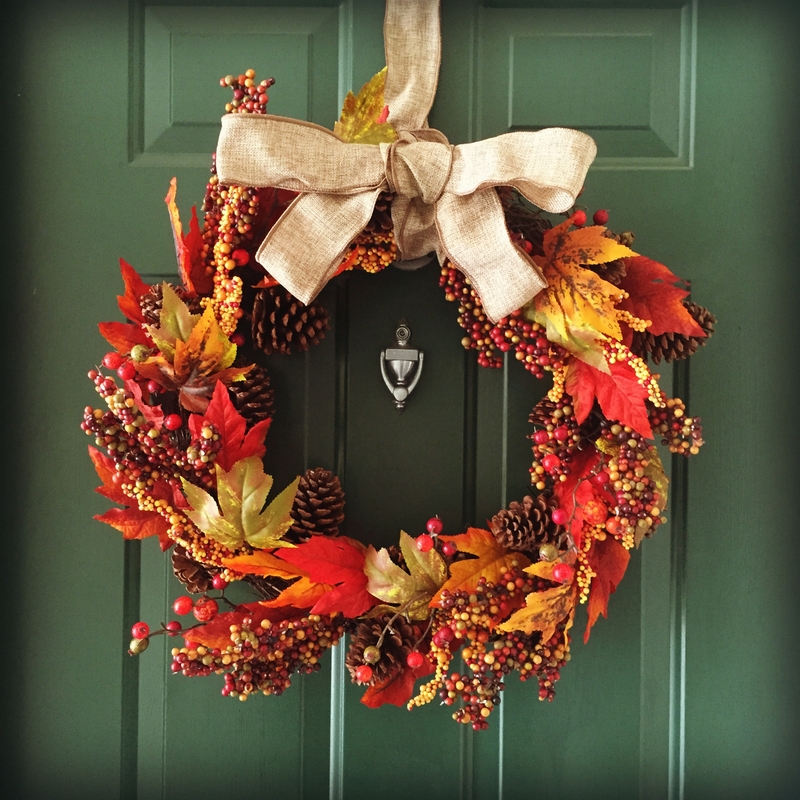 Isn’t it amazing how something so inconsequential, like a wreath, can inspire so much wonder? Maybe it’s silly, but for me, this brings me thorough and utter delight. And that is what I’m about in this season: enjoying a little beauty to greet me on my front door, reminding me in a unique way to celebrate and enjoy.